With Singin’ in the rain still going strong at the Palace Theatre it was time for me to check out the new cast that has started in the show just a week ago. Some of you might remember my first review of the production in which I said this show has “restored my faith in musical theatre”. 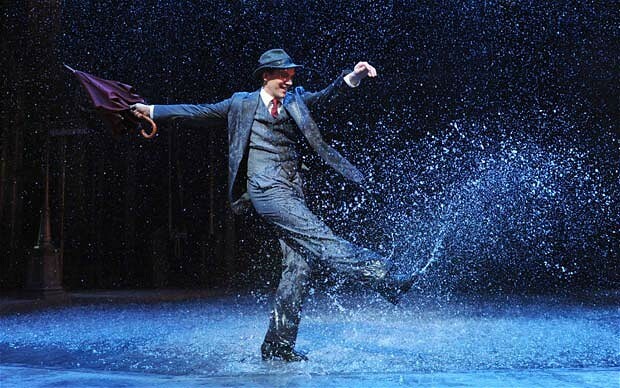 For me Singin’ in the rain is the perfect example of how wonderful musical theatre can be. It’s such a classic but it doesn’t feel dated at all. And you can’t help but leave the theatre humming the songs (personally I usually end up with “Good morning” in my head for days after I’ve seen the show). Adam Cooper still stars as Don Lockwood, the star of silent movies. While he is not the strongest singer he makes up for it with his incredible dancing skills. Combine that with an all around likable and warm portrayal of the character and you’ve got a fantastic Don that charms himself into the hearts of the audience. Taking over as Cosmo Brown is Stephane Anelli who has previously starred in shows like Saturday Night Fever, Legally Blonde, Never Forget and most recently Ragtime and A Midsummer Night’s Dream. Although he has only been in the show for a short time his portrayal of Cosmo is already spot on. Stephane’s comic timing is absolutely perfect and he gives Cosmo a geeky charm that is almost impossible not to fall for. His Cosmo is funny but never loses his dignity – a perfect mix. 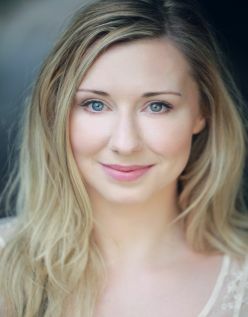 Louise Bowden plays Kathy Seldon. Taking over from Scarlett Strallen she definitely has big shoes to fill but she does so brilliantly. Her and Adam work really well together and while I think Scarlett’s Kathy was a bit warmer I do enjoy Louise’s slightly less fragile portrayal of the part. It will be interesting to see how she develops the part over the next months. 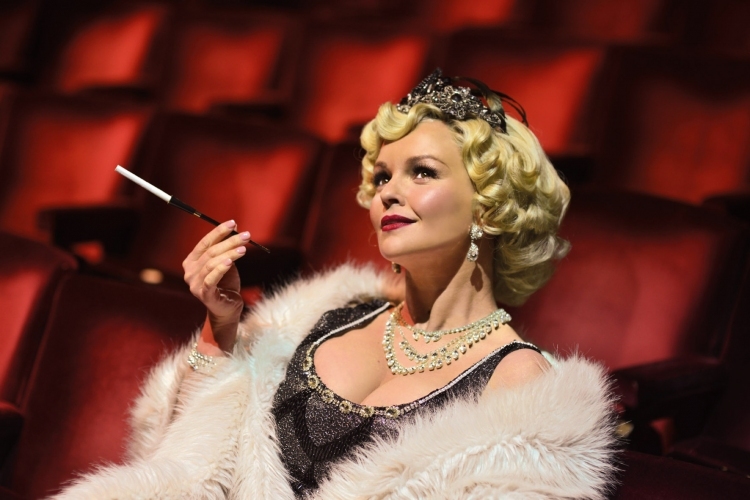 Jennifer Ellison has taken over as Lina Lamont and although I don’t dislike her in the part I think she is the one new cast member that has the most work to do. Her voice is very on and off when it comes to the high-pitched vocals that are so significant for Lina. She often falls back to an almost “normal” voice especially when she is singing. Hopefully she will manage to become more consistent over the months to come – once she nails the voice bit I think she will be a really good Lina. The rest of the cast does an all around brilliant job. 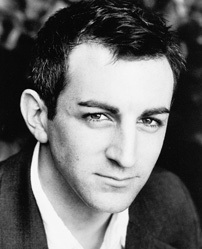 A special mention goes to David Lucas who is hilarious as the Dialect Coach. Wonderful to see Adam Denman in his first big West End show – such a fantastic dancer. Joseph Prouse is once again a joy to watch on stage. For me he just makes every show that tiny bit more special. Singin’ in the rain remains a highlight in the West End. This show just has it all – a good story that will make you smile, characters you will feel for and music and dancing that will make you tap your feet along. Sadly this show is leaving the West End at the end of August. Please make sure you see it before the last drop of rain falls onto the stage. This is a true gem of a musical and a must see for every musical theatre fan. Singin’ in the Rain is playing at the Palace Theatre. For more info and to book tickets go to http://www.singinintherain.co.uk/.